Fortunate enough to have worked in many great Texas school districts and the Region 2 Service Center, Anita Oliver has worked as an educator, consultant, librarian, and technology specialist (currently Round Rock Independent School District). 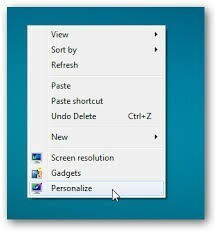 Times may arise when we walk away from our computer, only to realize we left our computer logged on and we did not lock our screen. 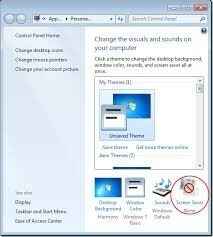 In addition to locking manually by pressing the Windows Key and "L", you can let the Screen Saver do all the work for you! 1. From the desktop, right-mouse click and click on PERSONALIZE. 2. Choose Screen Saver from the window which appears. 3. Click on the ON RESUME DISPLAY LOGON SCREEN BOX and choose a Wait Time from the menu provided - I chose 3 minutes. I also like the BUBBLES Screen Saver, but you can select any of them. 4. Click APPLY and OK and your screen saver is set. 5. 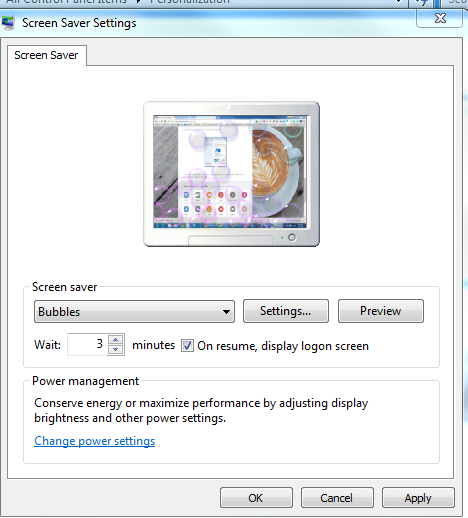 After the time idle, you screen saver will lock your screen, protecting it. You will then put in your password to resume. If you like to see this in a VIdeo Form, here is a short YouTube that guides you through the process.